WOW! 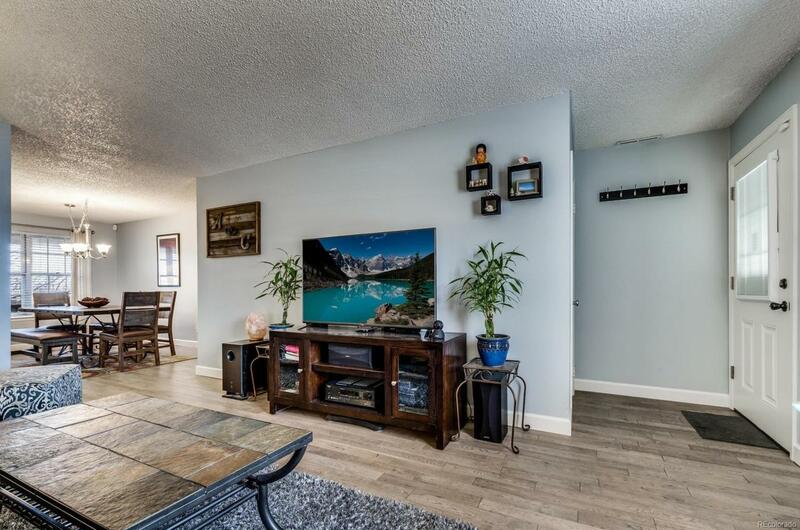 Nicely updated and remodeled Glenn Oaks 2 bedroom 2nd floor condo. Beautiful real hardwood floors throughout living areas. Updated kitchen includes tile backsplash and stainless appliances. Microwave and stand included. Newer roof, carpet, paint and water heater. Stacked clothes washer/dryer included. Two covered patios. Assigned carport #312 and ample lot open parking. Private storage locker in basement of building X. Lots of amenities private to Glenn Oaks include clubhouse with indoor pool, sauna, hot tub, party room and exercise room (amenities are not shared with adjoining Southglenn Commons). Super convenient location just cross the road to the happening Streets of Southglenn grocery stores, movie theater, library, park, shopping, restaurants and more! Glenn Oaks is an upmarket community where the last 3 sales of identical sq ft units have been $240,500, $244,000 and $246,500.